Biodiversity and sustainability are becoming increasingly more important and there’s a major role for them in this new way of planting. 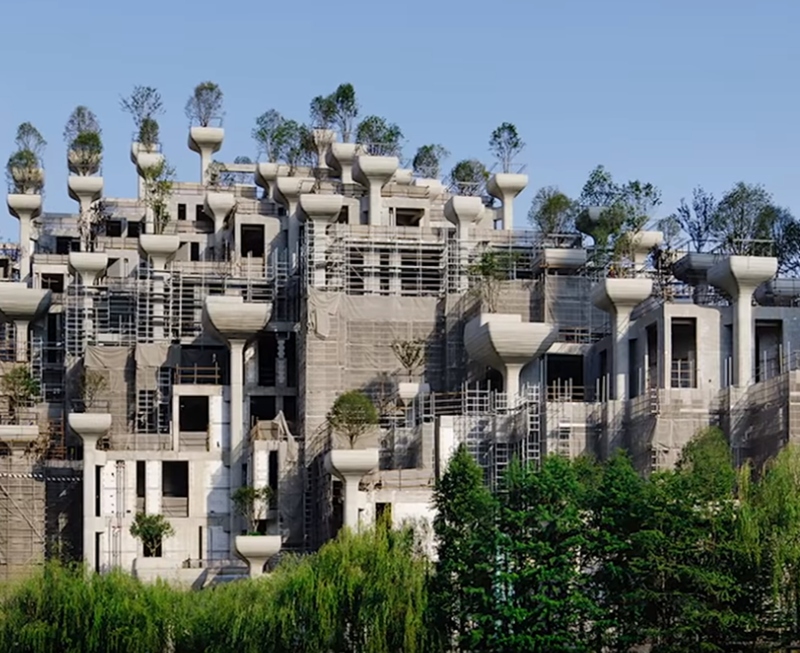 So let’s name this new way of planting; the Natural garden. (or what ever you like to name it) comparing the Natural Garden to the tradional way it’s diffirent in the way we arrange the plants and we have to look at other ways to the beauty of it. We no longer only look at the flowers and their color but more to how it looks without because the flowers are present at a short period, so the foliage is as important. Also the afterlive of a flower becomes more important, like for example, how the seedbuds and fruits are peforming. The shape of flowers becomes also much more important. Planting design the traditional way makes color the most important property of a plant, in the naturalistic way we first look at the shape (umbrella, spikes, buttons, spheres, plumes etc.) at second we look at the afterlive (seedheads,fruits) and on the third place becomes color. Another important property is transparency , Transparency is an important concept in the natural garden, sunlight is filtered through the tallest plants in various heights and shapes, seed pods form a strong silhouette in the light. 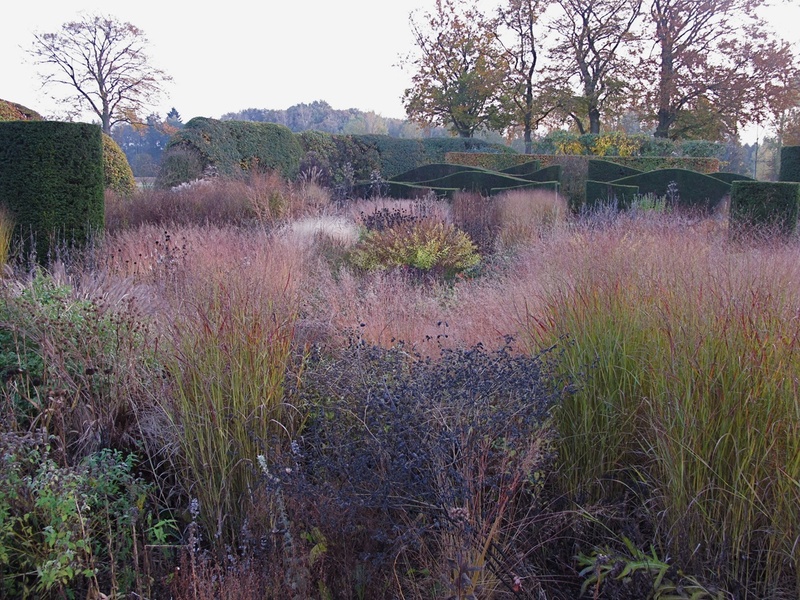 For the higher plants in these borders we choose plants with a fine texture or little leafs. By the plant choice we are taking more account of the origin as native plants are obviously great but also plants from other parts of the world with similar conditions. Another important aspect of the plant choice is the function they have to improve the living conditions for bees, butterflies and other insects and animals in general. Inspiration can, of course be done during the open garden days many organized in the country in similar gardens but where can you now get better inspiration for the natural garden as in nature itself. Observe many meadows, roadsides and forests carefully and look which combinations of plants occur in nature, trying to recognize patterns of plants and see how they repeat themselves. Pay close attention to which plants are dominant, which occur in groups, while others are solitary . Look closely at the living conditions in nature. 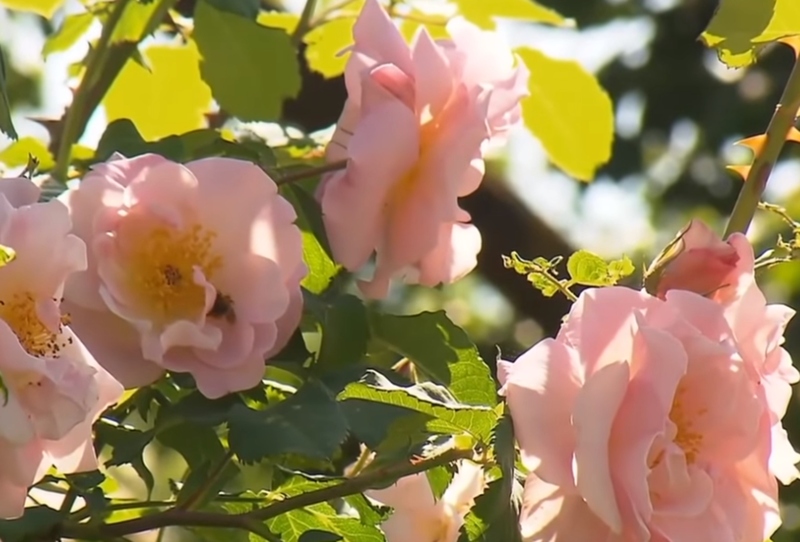 Also on the internet you can gather a lot of inspiration there are many pictures of flowers and meadows to find and on TUINENSTRUINEN TV you can watch many inspirational videos. 1-Look for plants in nature on conditions similar to those in your garden life, think of temperature, soil type, shade / sun etc. 2-Use as many native plants, they are accustomed to our circumstances, such as land, water needs. 3-Use as little as possible (over)cultivated plants in the natural garden, but prefer the original botanical species. 4-Look for plants that are attractive to bees, butterflies and other wildlife (biodiversity). Look here for a list of the Dutch Butterfly Foundation. 5-Look closely at the (range of) flowering period and attractiveness after flowering, thus the formation of seed pods, berries, fruits etc. Many plants have beautiful leaves what makes them also attractive without flowers. 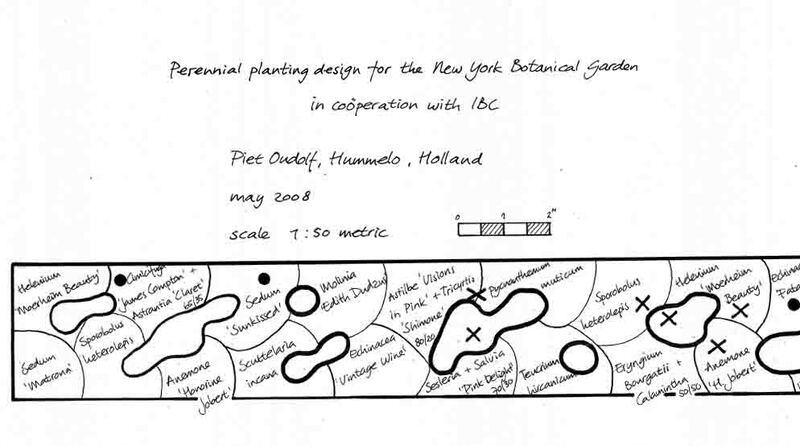 The well-known landscape designers all use their own way of making a planting plan , as Oudolf uses a Matrix Plan in which he certain combinations ( in different layers ) repeated. Similar modular plantings uses Dan Pearson and we see them in the Grids of the American Roy Diblik . Many German designers work with the seed-mixtures and Nigel Dunnett and James Hitchmough of the University of Sheffield are familiar with this type of plantings , the last two can be seen as THE expert in ecological planting-designs in which they reach the degree of Professor, Dunnett and Hitchmough ( and Sarah Price ) are also the designers of the naturalistic meadows at the Olympic Park in London . To keep it a bit clear to us we make the planting in three layers . Sign on scale your garden or border ( 1 , 50 ) and use tracing paper for the next two layers so you can view a good distribution, preferably use pencils because you will still be correct enough. 1-The first layer is the base layer for this we select plants that grow in the width and not higher than + / – 30 cm. This layer contains about 40-50% of the total mix. 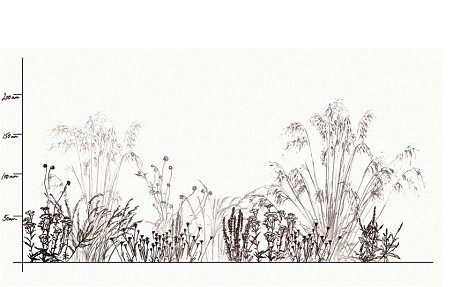 2-The middle layer is + / – 30-100 cm high and containing + / – 30-40% of the planting. Incorporate in this layer many plants with a long flowering period. Please note that a finer texture of the leaf so that there is enough sun shines upon the bottom layer. 3-Finally, 10% of higher plants with almost no or a very fine leafs, eg grasses etc. This layer contains about 3 types of plants that protrude above the middle layer. 1-Use here plants with the property to grow in width , sod -forming , or forms clumps and can be seen as ground cover . A good example is Heuchera villosa this plant can tolerate some shade from the upper layers . Another very suitable choice Coreopsis verticillata ‘ Zagreb ‘ , Aster divaricatus , Primula veris and Primula vulgaris . Is your planting inspired by the dry meadow and steppe then , Dianthus carthusianorum and Pulsatilla vulgaris are good examples . Of course there are many types of Geranium ‘s suitable for this layer as ; Geranium nodosum , phaeum , pratense and psilostemon . 2-Use for this layer plants with a long flowering-period as the indispensable Sanguisorba officinalis they have the required ” ascending ” habit with a branched structure and their fine red / pink buttons . Other plants for the middle layer Preferably Sanguisorba are ; Lythrum virgatum ‘ Dropmore Purple’ , Succisa pratensis , Centaurea nigra , Achillea ‘ Credo ‘ , Achnatherum calamagrostis , Liatris spicata ‘Alba’ , Eryngium bourgatii , Perovskia ‘Blue Spire’ and Salvia nemorosa . 3-For the top layer use good right -uprising plants with almost leafless stems , like , Rudbeckia maxima , Verbena bonariensis , and the lesser known Verbena hastata . Also great are the Molinia grasses with their upright growth habit and almost transparent stems , use preferably , Molinia caerulea ‘ Karl Foerster ‘ . Calamagrostis x acutiflora ‘ Karl Foerster ‘ is firm and straight -even more higher is ‘ Skyracer ‘ . Another beautiful grass suitable for the ” Prairie ” garden Andropogon gerardii . By doing so, we say goodbye to the traditional way of designing a hierarchical border where each plant got his own place. 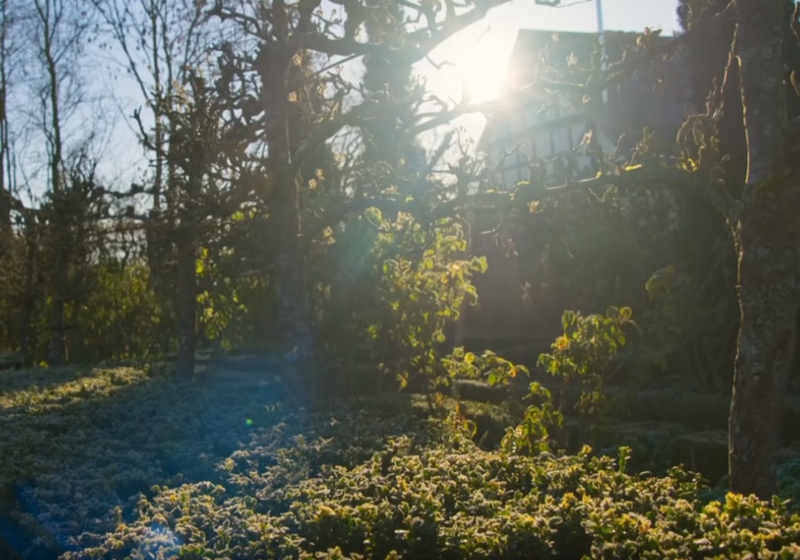 The new buzzword in landscape design is; intermingled plantings , mixed planting which we more accurately than before have to select the plants , especially in view of the transparency of the middle and top layer. A drawing by Sarah Price that makes clear the diffirent layers. 1-Transparency obtained by a fine almost leaf -less structure is very important. Ensure that sunlight can reach the bottom layer. 2-Ecological compatibility ,learn from wild flora in your area . Make sure that some plants may be dominant and therefore dominate other slow-growing plants . Pay attention to whether the plants are suitable for your soil . Sometimes it is necessary to remove the top layer of your soil and replacing it with a more suitable type of soil or substrate. 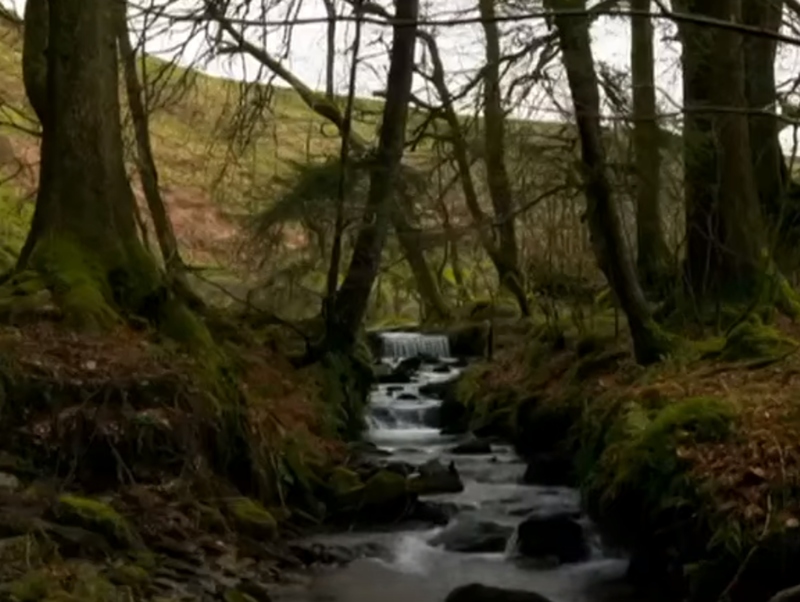 3-A good example to gain inspiration is observing your local meadows, woodlands etc. this is an example of a typical Dutch meadow wich i observed in this way; these meadows are very flowery and attractive addition you may well perceive how a landscape can change throughout the year . In early spring we see a mix of yellow marsh marigold ( Caltha palustris ) and the light pink smock ( Cardamine pratensis ) . Then comes a colorful period with pink real campion ( Lychnis flos – cuculi ) , purple with wide orchid ( Orchis majalis majalis ) , the blue marsh forget- me-nots ( Myosotis scorpioides ) , yellow big rattles ( Rhinanthus angustifolius ) , water ragwort ( Senecio aquaticus ) and marsh hawksbeard ( Crepis paldosa ) . Later in the season , the grasses and red sorrel ( Rumex acetosa ) to dominate . Just before the harvest season, the faded striped ears Yorkshire-fog ( Holcus lanatus ) . 4-Variation in flower shape ( Screens , Aren , feathers , buttons, balls) is essential by creating intermingled plantings ! Variation in leaf shape and texture is actually more important than the blooms , which often covers a short period . 5-Color; especially onserved at close or medium distance comes to life . Color of flowers creates the emotion ! For example, red flowers gives warm emotion , Blue is a cool experience but also important as a recessive color , it seems that plants with this color occur further away than actually, making the planting-design giving depth . 6-Persistence , how does a plant perform ? This knowledge is one of the characteristics of a good gardener or landscape architect and is obtained by experience and observation . It is also of great importance to a lot of research to do and share with fellow gardeners and colleagues experiences. A good tip is to read the research on this topic by Noel Kingsbury (Evaluating the long term performance of Herbaceous Plants using a questionnaire -based survey practioner ) . 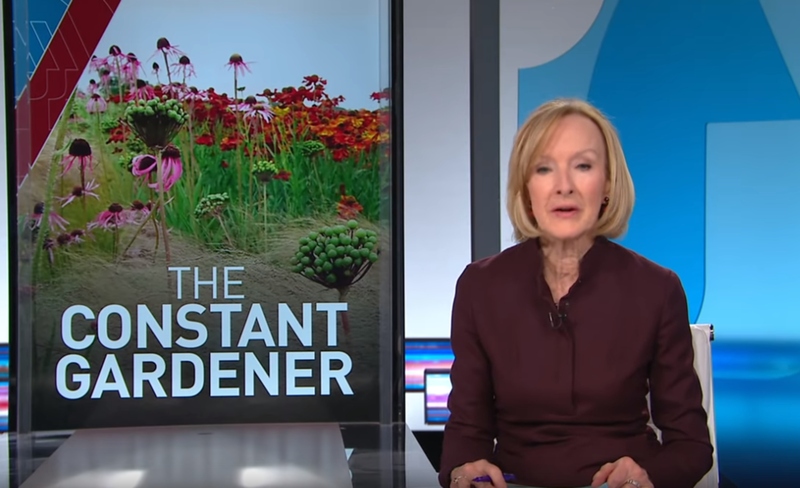 The term ” perennial ” by experiences come under pressure and should be distributed in fact , long-lived and short-lived plants , the performance of a plant depends on many factors, including the ability to expand ( vegetative growth ) , self – seeding etc. so it is very rewarding once you delve into this subject. 7-Plant density , determine the number of plants that are needed to cover in order to prevent an invasion of unwanted guests , give some newcomers that appear spontaneously in the garden a chance to develop . 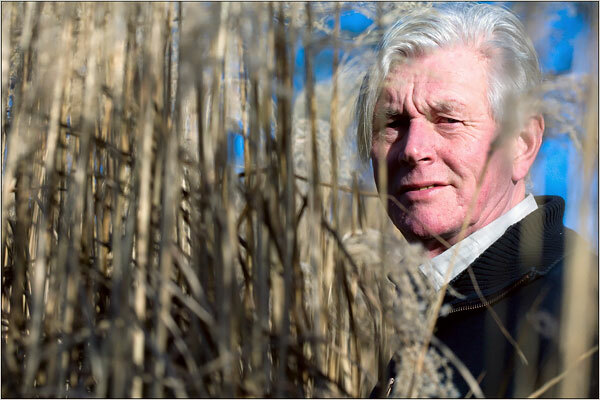 The experience Piet Oudolf has gained through his years of experience he shares in his latest book , Plans and plants , a new perspective . Here he gives the numbers of many plants per m2 , very worth it! 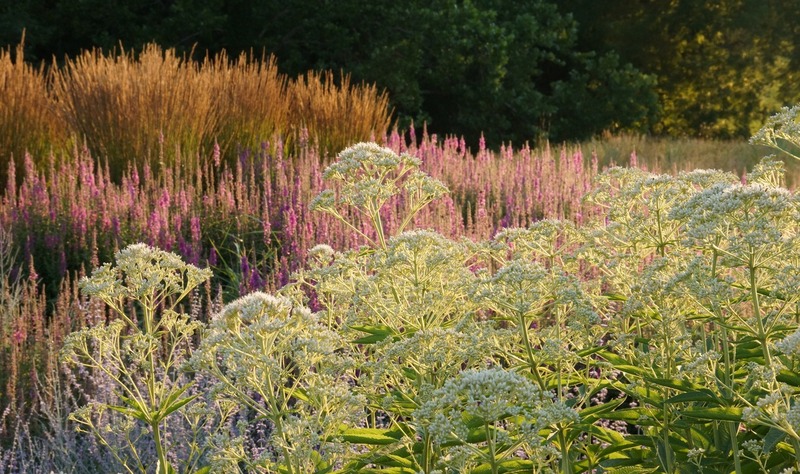 Increase your knowledge of wild flora by example plantlife.org.uk . 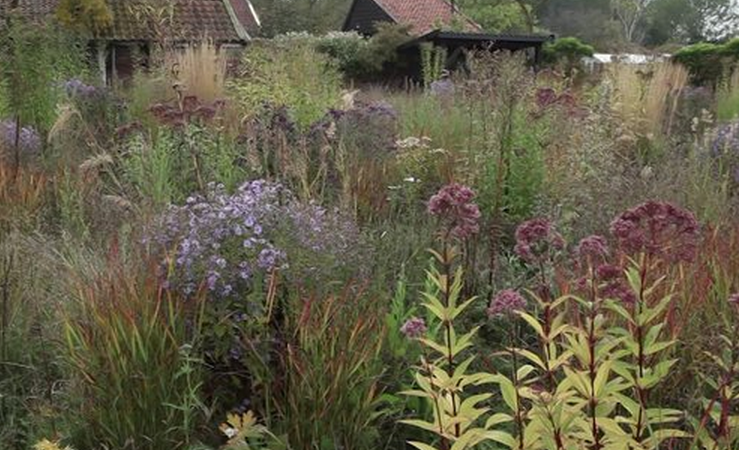 All pictures in this article are from Piet Oudolf works.